I have been busy working on my shared creative project The Poppy Cove Mystery series that I write under the shared pen name of Barbara Jean Coast with my co-author Heather Shkuratoff, and had to make some choices about what I was going to do with all of these other things that I was working on. To be honest with you the questions that I wanted to explore through this blog were still burning a hole in my brain. All through writing and creating our series, touring the Okanagan Regional Library system this summer and teaching writing workshops those questions have kept nagging at me. The desire to create never seems to stop calling to me. I want to understand that desire and to keep exploring these ideas. At this point in time my muse is always talking to me and I am ready once again to converse with it each and every day. I want to find out about other people’s creativity and what brought them to where they are on their journey. I hope that I can count on you to share your thoughts and ideas with me about what inspires you and your process. I am going to be looking back at some of my past blog posts and sharing them again to refresh the ideas that I am so passionate about. It is amazing to me how we can lose our passion along the way and then find it is waiting patiently for us to come back. May your heart and mind be open to the call of your muse. Your muse speaks when you are ready to listen. The Muse never leaves, it waits while you deal with other things, until you are ready to get back onto the road called creative life. I am seeking new ideas, and thoughts of inspiration for my muse to ponder. I am often overwhelmed and tend to back off when things get hectic. I promise to get back to work on what the purpose was of this artistic and creative endeavor. I need to just get back into the passion of living a beautiful life and seeing the world through the eyes of wonder that were given me. Looking forward to going down that road with you all once again and thanks for minding the traffic while I was gone. Have a beautiful and wondrous week my friends! Thus began my journey to recovering my creativity. 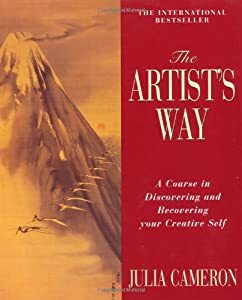 Julia Cameron has become one of the most influential people in my life. Her ground breaking program the Artist’s Way brought me back to my senses. I had gone through many years of feeling as though I was falling through the cracks. I was too concerned about gaining approval, the struggle to succeed and of course it had to be a struggle. To reach this pinnacle of so-called perfection, having it all, only to find that I was sliding down a slippery slope and ultimately not feeling any sense of fulfillment. After my initial discovery of Susan Jeffers, Ph.D. Feel the Fear And Do It Anyway and Marianne Williamson A Return to Love a friend and I discovered the Artist’s Way which was a turning point in both my emotional and creative life. I was ready to fully come into my own, to hear the inner voice that had been there underneath all the surface chatter. We have a record in our heads, the messages that we keep playing over and over again through out our day that tend to cloud our judgement, our feelings about ourselves and our decisions. What Julia’s writing and course ultimately helped me to do is get below that surface chatter where all of those ideas come from. Reaching within our souls we create a path of creativity that is life altering. I am still using one of the most important tools that Julia introduced to me Morning Pages-– three pages of longhand writing, strictly a stream of consciousness. As stated in the book, “There is no wrong way of doing morning pages”. So each morning one drops into the Well below the surface and clears the path. I needed to realize that it was safe to be me and to express myself in all the ways that I wanted to. Thank-you Julia Cameron! Over the coming weeks I will be sharing with you all of the influences that have played a part in my creative life and how it has shaped my journey for the better. Here’s to all of us making creative discoveries and sharing them with each other. The purpose of art is not a rarefied, intellectual distillate-it is life, intensified, brilliant life. The Final Question or Is It? : What Do You Really Want To Make? This my friends was a challenging question to answer without sounding pretentious or simplistic. So here it goes, I would like to make a world where people are not afraid to express themselves through their creativity and they are on purpose in their lives, living their truth. Each and every single one of us are “Makers” , so ask yourself, what is it that you really want to make? With each project there may be a different answer, but at least we are out there being true to ourselves and dancing to our own music. Now go get messy! Don’t forget to have fun whatever the journey you are embarking on! Experiment, Inspire, Create, Experience…. What Are You Aiming to Discover About Yourself or Others Through Your Creations? Creativity is related to all aspects of our lives at least that’s the way that it works for me. Through my creations whether it is a story, a poem, a collage or a quiche I am aiming to discover more about my thoughts and my own resilience in the face of challenges. I am hoping to bring light to the dark, to understand my soul and my purpose for being here. Science is a form of creativity that advances the world, but so can creative thought, for instance the way one understands the world can be changed by reading a book, hearing a song or watching a TV program or movie. A good example that is interesting to me is how my life has changed because of thought patterns that have formed due to watching a show such as Supernatural, it is not about scary things it’s about fighting the “good-fight”, it has changed my thoughts about death, angels, and all the unseen in our physical world. There is a new thought pattern in my creative mind that is so much more life affirming and it takes me to a new level of creativity that I did not access before. This is what happens when something resonates with us and then we are able to come to a new level of understanding. That is what my creations are aiming at! What a joy it is to resonate and connect with others and to come away with deeper meaning in our lives. I discover things about others too, it is a co-creation with God and the universe. The gifts of creativity are ours to explore and I am so interested to hear all about what others are reaching for in their creative lives. We have so much to explore and this is an ever expanding universal order. Take care and please keep creating into the light and the dark, let’s find out more about our-selves and each other! May peace, light and joy be with you. I believe my creativity came about through necessity, as the only girl in my family with two brothers, playing games by myself lead to me making things up. Sometimes my imagination clicked in out of sheer boredom. For instance, I can remember being in the car riding down the highway and looking at the rocks and rugged terrain of the coastal mountain ranges of the area I lived in and imagined myself climbing up the sides of those mountains and then I would often picture myself falling-down. After I would imagine what would happen if I did fall-down. One of my many ways to pass time in the family station wagon. I also recall anything that I read, watched on television or saw out in the world got a makeover in my imagination, which definitely worked overtime! I even made a story up about my parents picking me out of a garden like a vegetable or flower when I was a baby. This was the story I made up about being adopted. I also played many roles such as Nancy Drew, making up my own mysteries to solve, a talk show host, audience member or a person being interviewed, in fact I usually played all the roles. I watched the best which was Phil Donahue! I was on his talk show! As a teenager I was always making up dialogues between characters, writing a romance and poetry. I kept journals, wrote stories, and much more. These creative outlets always gave me a sense of safety. A place where I could deal with any anxiety I was experiencing in my life at the time working things out. Through storytelling we can exorcize demons, lay things to rest, explore inner conflict, and be whoever we desire to be. The chance to explore the darker side of ourselves, move toward the lighter side and gain insight. I have always been one to question things and I always will. So creativity has and always will play a large role in my life especially in the form of writing. I would love to hear about the roots of others’ creativity, and I wish you well on your own journeys.